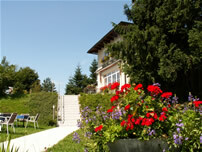 Welcome to the website of Hotel Haus Franziskus! 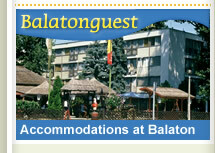 If you wish to take a break and are longing for total relaxation, let us offer our accommodation in Styria. Your pleasant stay and holiday is guaranteed at our hotel in Mariazell with great characteristics and many services with comfortable accommodations at a very reasonable price. We welcome famillies, groups of friends, church and pilgrim communities, student groups, teacher boards and business groups. We will try to make your vacation in Mariazeller Land an unforgettable one and we aim to give our guests perfect services and positive memories. 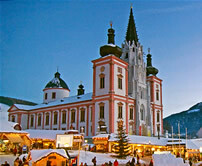 Mariazell is a small city in Austria, in Styria, 143 km N. of Graz and is picturesquely situated in the valley of the Salza, amid the northern Styrian Alps. It is the most important pilgrimage site in Austria. It holds great meaning for Catholics in the neighboring countries to its east. Only a 15 minute walk away from downtown Mariazell and the Basilica can be found the atmospheric, little hotel of ours, which is a perfect spot if you want to explore the sights of the area. The guests arriving in the Advent period meet a reminiscent atmosphere and wide variety of Christmas programs. Hotel Haus Franziskus is surrounded by mountains, which inspire the visitors for hiking in the summer and skiing, snowboarding in the winter. Marizeller Land environment is perfect in offering many program opportunities in active recreation. 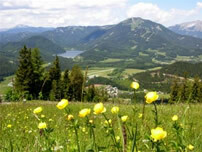 Summer offers: walking and hiking tours, routes, Nordic walking, mountain biking, horseback riding tours, paragliding, swimming in crystal clear Erlaufsee (Lake Erlauf) or in the pools of Mariazell, diving, kayaking, rafting in River Salza and fishing. Winter holiday: skiing, snowboarding, more than 70 km-s of cross country ski tracks, hockey, ice fishing, horse sleigh riding, steam baths. After this short introduction we ask you to get more information by reading onward in our site's other pages about our hotel, the services of the town, the sights of the area, program opportunities. 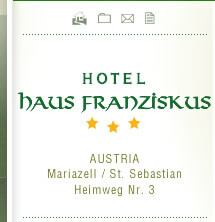 We hope that our website will encourage you to travel to Mariazell and that we can soon receive and welcome you as our guest at Hotel Haus Franziskus! We wish you pleasant and effective surfing! If you have any questions about what you have read do not hesitate to contact us! 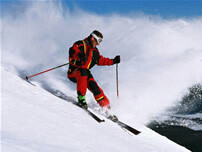 Ask for our help in arranging ski trips, summer camps, hiking tours!